The key to your company’s future is managing the entire end-to-end workflow — the people, process, and technology. Boomi delivers all of this in a unified platform. Every element of the platform is designed for ease of use, leveraging all of the advantages of the cloud. 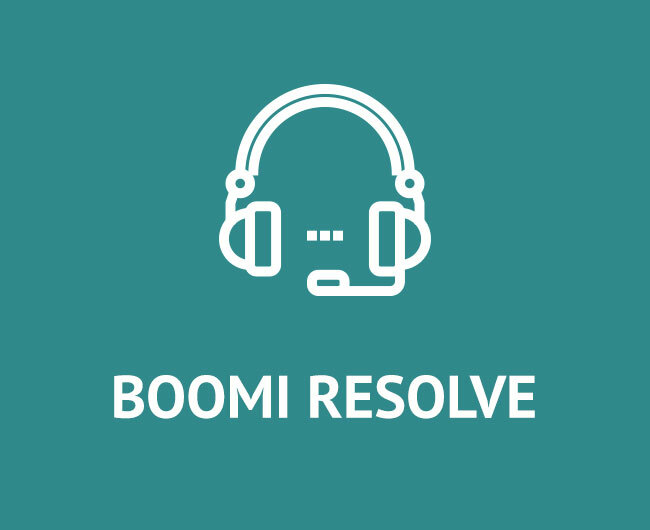 Boomi solves your hard technical challenges, so you can focus on improving your business. With Boomi, your digital transformation is within reach. Connect all your applications and data sources across your hybrid IT landscape to unlock data silos and achieve pervasive integration. Synchronize and enrich your data through a data hub so the organization has trusted data to make business decisions. Achieve interoperability between your internal systems and your ecosystem of trading partners to extend the reach of your business operations. Modernize and expose underlying data as APIs to deliver scalable and secure real-time interactions for the new world of applications. Automate workflows on any channel, device or platform to create new experiences for customers, partners or employees. Since our beginning, Boomi has been pioneering cloud-native integration. Auto-healing, auto-updating and smart, our platform is built on the industry's most advanced distributed architecture. Boomi provides revolutionary development speed with its low-code environment, powered by crowd-sourced intelligence, pre-built templates, and developer SDKs Boomi. With the industry’s best uptime, Boomi handles all your toughest technical challenges — including upgrades, security and compliance — regardless of whether you’re deployed on-premise, in the cloud, or across a hybrid IT landscape. With your applications and data together in a unified platform, you gain a 360-degree view of your business to identify patterns and unlock the power of artificial intelligence and machine learning. A tiny run-time engine that brings magic to your application and data integrations. self-contained, autonomous and intelligent building block. including connectors, transformation rules, decision handling and processing logic. Boomi’s unified, secure, low-code integration platform as a service (iPaaS) supports complex IT systems and architectures with greater flexibility, at a lower cost, with reduced risk and immense scalability. Speeds up data mapping with automatically generated maps and functions for new integrations based on millions of data maps and tens of thousands of functions built on the Boomi platform. On average, users accept 90 percent of these suggestions, which simplifies the creation of data maps in integrations. 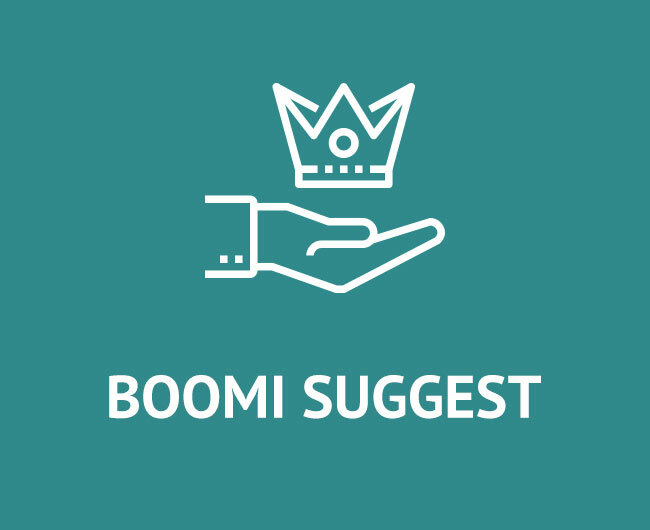 With contributions from Boomi experts, Boomi automatically provides resolution recommendations to common errors. When an error occurs, customers are presented with lists of possible solutions in order of relevancy, with links to full articles for further explanation and resolution. 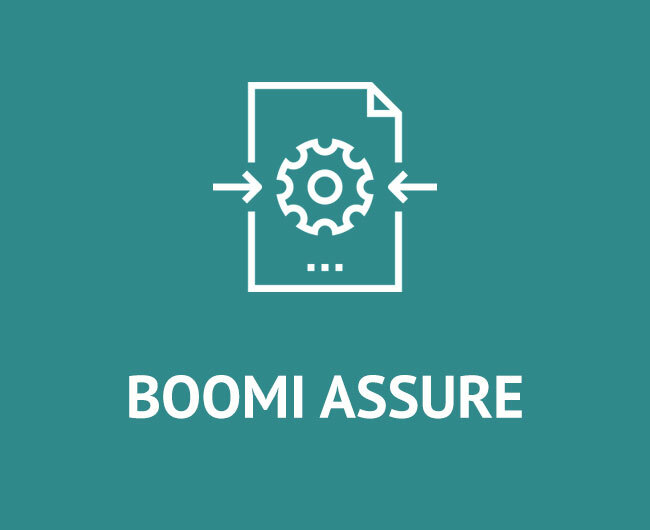 Boomi delivers crowd-sourced regression testing to customers, providing the confidence that platform updates will not break existing integration processes. Customers can submit their integrations and the test data will be run for upcoming platform releases.